John Milton has been off the grid for six months. 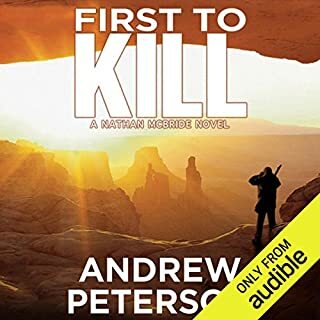 He surfaces in Ciudad Juárez, Mexico, and immediately finds himself drawn into a vicious battle with the narco-gangs that control the borderlands. He saves the life of an idealistic young journalist who has been targeted for execution. The only way to keep her safe is to smuggle her into Texas. 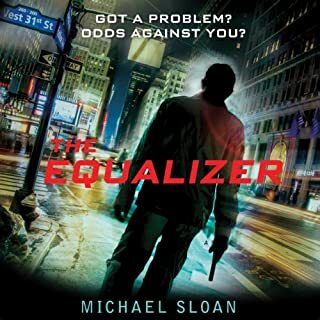 Working with the only untouchable cops in the city and a bounty hunter whose motives are unclear, Milton must keep her safe until the crossing can be made. But when the man looking for her is the legendary assassin Santa Muerta - Saint Death - that's a lot easier said than done. 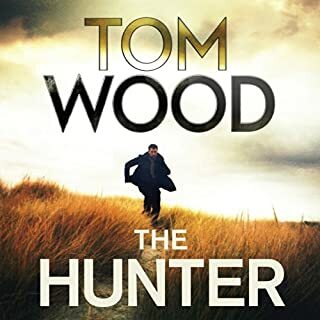 With the exception of 'The Darkest Day', the first six books of Tom Woods' 'Victor-The-Assassin' series turn paranoia into an enticing super power. Here Mark Dawson gifts his dark killing-machine-with-a-conscience, John Milton, with its cloak. And he does it with so much blood-stained grit that I've already downloaded next in the series 'The Driver'. Okay, the story's got holes, so does Swiss cheese, but I still like the stuff. Mark Dawson's been a favorite reader of mine before... Not so much here. No one in America speaks diphthongs with the alien tongue Dawson gives his characters. What? They've all got distracting speech defects? Small spoiler alert... This is a self-contained story but it's also a bridge to the next book in this series. All is NOT wrapped up in the ending's frenzy to swirl together so much so quickly. Meaning? There're teasers here which make this a step in an epic. I am enjoying this character and the stories. It does seem that in each book, the super killer, Number One, does something really stupid. He did it again in this book, not dally with a vulnerable woman this time, but let himself get jumped by the bad guys. Nevertheless, the characters are realistic, the fights are believable and exciting, and our hero struggles to stay true to his tea-totaling, restitution-making goals since he doesn't want to kill for hire or politics anymore. Now his own government wants him "retired" and the Russians want him hired, so he has to keep running from everyone. At least he has made 2 new friends, and an old colleague has remained a true friend. 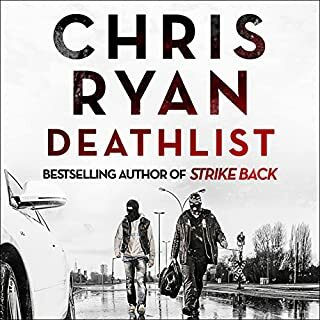 This one is not as good as the first one-- I am extremely glad the one good guy on the brink did not die, and there weren't any moments I cried or mourned, but it's okay and I will read another. It was obvious the author did little research, if any, glaring errors ..... Made story even less believable. What did you love best about Saint Death? What was one of the most memorable moments of Saint Death? The book feels abridged. There are gaps in the time line, there could and should be more character development, and more detail. And if John Milton is the UK's top agent the UK is in trouble. Missing is all the spy and assassin craft that are in other novels (John Rein, Victor, John Wells, Quinn). There is so much potential and the writing is pretty good, but just not good enough to be a 4 star and a long way to go to get 5 stars. I want to get lost in this book and series but it just isn't complete. Hero never thinks of unintended consequences! I could have told you what retaliations would be. Relying on character stupidity of supposedly smart main characters to move the plot forward is not acceptable. This is the second book in the series. This book is just like the first. The main character does stupid predictable stuff and relies on fortuitous events to get out of a bind he put himself in. I will not give the rest of the series my time. I read about enough stupid human tricks on Facebook; I don't need to buy them too. Need more action in the story line for a highly skilled agent like John Milton. All the supporting cast in this story are very weak. I will read one more JM, Book 3 and if the same weak story line with weak supporting cast the it will be the last one. I was pleasantly surprised by the first book, so was disappointed when this one included a stereotypical Mexican drug lord. I still like John Milton as a character, but sincerely wish he would have bypassed the drug cartel. And, the Mexican, Texan and American accents were a bit silly. I love the narrator, otherwise. This book had a lot of violence (like the rest of the series so far), twists and turns, and other characters sort of took the lead this time. Once again, there was a huge cliffhanger. I'm guessing that is the way the whole series will be. So, if you get this book (and I recommend you do so), be prepared to be left hanging and have the next book ready to go on your device. There's always the concern about sequels not being as good as the original story, but this 'continued adventures of John Milton' is a good match for The Cleaner. I was very engaged with the story, again with very timely themes, and the accent work is great. David Thorpe does wonderful narration. The settings and characters are very vivid, and I can still feel the heat! A good instalment in the very compelling John Milton Series. This time Milton is trying to lay low in Mexico, but his desire to help those in need soon lands him back in the thick of it. The eyes of his former employer is on him too, and once he raises his head then its only a matter of time before they're back on his trail. A good, eye opening story - centering on people trafficking and the drug cartels of Central America. Really enjoying the Milton series, and looking forward to the next. Superbly narrated by David Thorpe. Turning up the Heat on Milton! 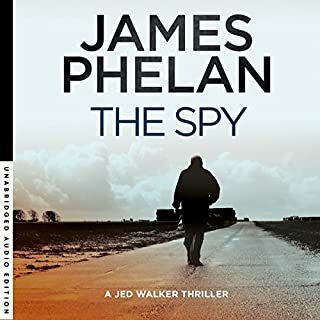 This is the second outing for the British "Jack Reacher" and it fully lives up to the promise of the first book in the series. It's a hot and spicy adventure that sees Milton's attempts to avoid the British Authorities take him to Mexico. It actually taps into some of the real scandals that are accepted daily life in some areas of South America and pits him and a somewhat jaundiced policeman against the Mexican equivalent of the Mafia. It's a spicy mix and it gives David Thorpe a real challenge which he deals with very competently, oddly it was the US accents which I thought sometimes sounded a little weaker than the others. I personally do like these Milton, Reacher, Puller characters when they are done well (ie not by people who are entirely physically and stylistically unsuitable for the job - sorry I just can't resist a dig at the otherwise impressive Mr Cruise). This is done well and it's nice to imagine another one of these avenging angels out there looking out for the little guys. 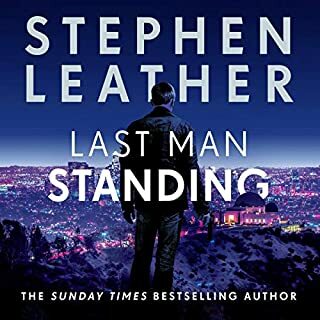 I'm not willing to hand over Reacher's crown as I just think the Lee Child books have a bit of an edge in almost every way but I'm pretty certain I'll be reading plenty of this series too. This is my third book in this series (the first one is from later in the series as it was on special offer and that is what I began with). Both of the others were a bit ‘over-written’. This one is not. Despite that flaw in the other two, I have loved them all. 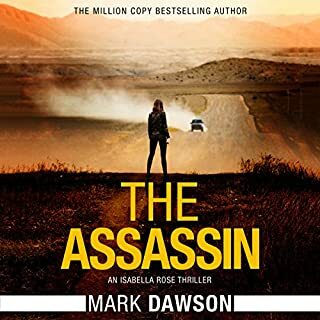 Mark Dawson has an exceptional ability in writing characters. John Milton is charismatic and very engaging. All other characters are well drawn and, here, I especially liked and cared about the Police Officer, Jesus Pato. David Thorpe does a wonderful job narrating this series. He loses one star because he seemed to occasionally forget himself with an accent in this one. For those who say these books don’t seem to have a proper ending, that is because Milton’s story is picked-up in the next book. I look forward to moving on to the next in the series. Everyone keeps saying that John Milton is the English Jack Reacher and in many respects he is. However I see shades of Le Carre in him as well. This is the 3rd one in a row I have read which is unusual for me. It is possible to read this book as a stand alone book but it would make more sense if read after The Cleaner. book 1. John Milton, latter day Robin Hood? 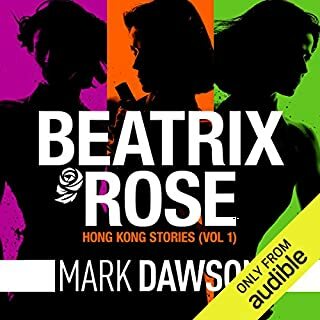 Fast fairly involved story, Great for listening to while on the go. 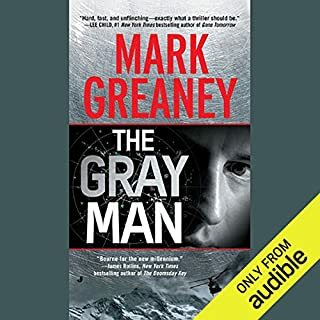 I will be reading /listen to the next book as the main character is intriguing and I want to see what he willpower next. Would you listen to Saint Death again? Why? This is the second part of the John Milton series and it builds on the groundwork of the first book. 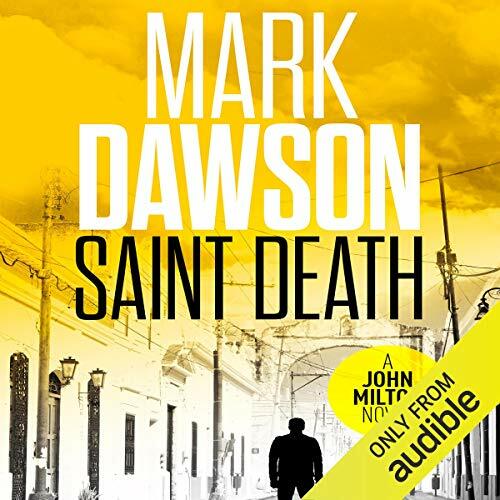 What other book might you compare Saint Death to, and why? This series is reminiscent of Lee Childs Jack Reacher series. Once again, the accents bring the story to life. Yes. I started and wanted to keep listening. A great second book in the series. Now I can't wait to start listening to book 3. 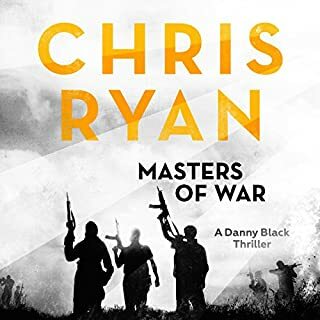 Thought it was going to be hard to get into for the first chapter but turned out to be a fantastic sequel to book one. 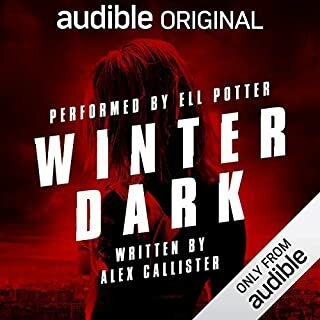 if you listen carefully there is a few minor slip ups from the narrator especially when changing accents but overall a great job. 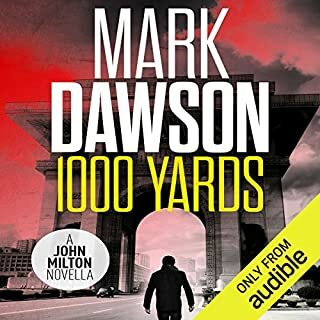 Not my usual kind of book, but I've fallen in love with Mark Dawson novels. They are very well written, a must for me, and very well narrated. A highly recommended author.